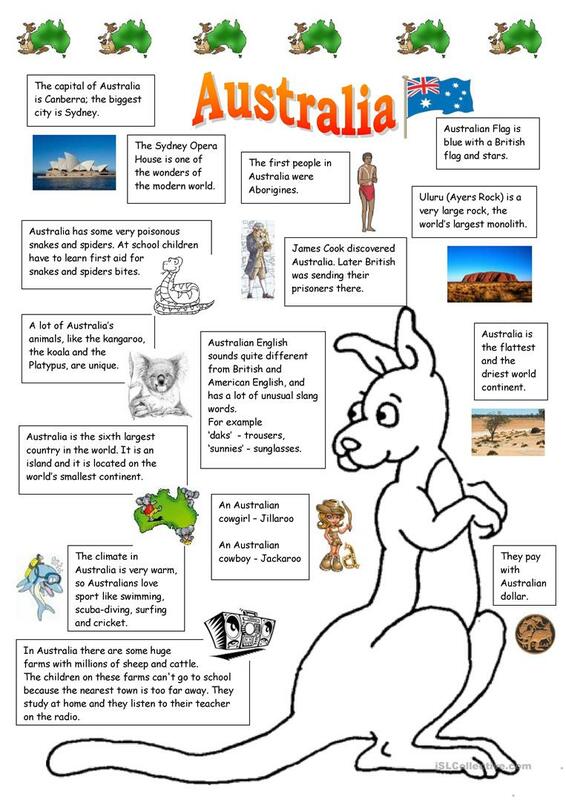 The handout I made for my students for a lesson about Australia. I got the information mostly from wikipedia. The above downloadable teaching material is intended for elementary school students at Elementary (A1) level. It was designed for strengthening your students' Reading skills. It centers around the topic and words of Countries.